The encrusting coralline alga Hydrolithon onkodes. Photo by J. Orempüller. Coral reefs form the world's most renowned tropical marine habitat, and are some of the most inspiring structures on the planet's surface. An incredible wealth of biodiversity hides among the reef structure, and reefs are a justly celebrated subject of many popular books. Most of such books will (hopefully) dedicate a reasonable amount of space to the primary constructors of the reef, the corals, describing how these colonial anemone-related cnidarians lay down skeletons of carbonate that, as the layer of coral grows upwards, accumulate to form the reef structure. For today's Taxon of the Week post, I'm going to showcase another significant group of organisms in the formation of coral reefs that tends not to get quite so much press - the coralline red algae of the order Corallinales. 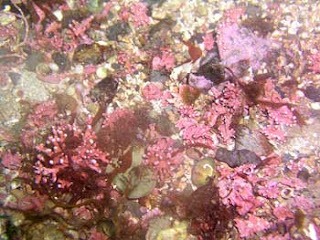 The coralline algae are one of the most distinct groups of the red algae. They receive their name because, like coral, they lay down skeletons of calcium carbonate that both support the organism and dissuade potential grazers. Coralline algae are a very significant component of coral reefs - in at least some areas, coralline algae actually make up a higher percentage of the surface cover of the coral reef than the coral itself. Overgrowth by coralline algae can bind the reef structure, making it more resilient to erosion and wave action. In areas of coral reef restoration, coral larvae settle preferentially on substrate that is already overgrown by coralline algae (Precht, 2006). Coralline algae are also able to withstand lower temperatures and higher-energy environments than corals, meaning that algae-dominated reefs also have a much wider distribution than true coral reefs. Coralline algae also include some of the deepest-living photosynthetic organisms in the world, with some species growing at depths of 300 m, in light levels only 0.0005% of surface level that would be imperceptible to humans. The articulate coralline alga Corallina officinalis. Photo from habitas.org.uk. Morphologically, coralline algae are often divided into two groups, geniculate or articulate and non-geniculate or crustose coralline algae. 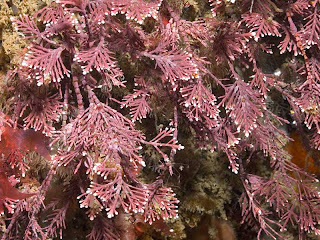 Geniculate coralline algae grow in branching upright thalli formed of a series of segments divided by joints called genicula. Crustose coralline algae generally do just what the label says they do - they usually grow as flat crusts, though sometimes they may grow upright branches which never grow as high as geniculate algae and are never segmented. Some crustose coralline algae actually grow unattached to the substrate and form often rounded, rock-like structures called rhodoliths that in some places litter the sea floor in large rhodolith beds. Rhodoliths grow extremely slowly - Frantz et al. (2000) calculated a growth rate of approximately 0.6 mm per year using carbon-14 mass spectrometry of rhodolith sections, suggesting that the largest rhodoliths with diameters of over ten centimetres could be 100 years old or more. Such slow growth is characteristic of coralline algae as a whole - experimental observations on reef sections where grazers were excluded showed that in their absence the coralline algae quickly became overgrown by fouling macroalgae. Unfortunately, and despite their ecological significance, systematic studies of coralline algae are relatively few and far between, largely because of the difficulties of working with them taxonomically. Many morphologically informative characters require examination under a compound microscope, a particularly challenging prospect for crustose forms which are, after all, essentially a thin layer of living tissue over a core of solid rock. Despite its superficial convenience, smaller scale morphological features and molecular phylogeny indicate that the division between geniculate and crustose forms is not phylogenetically informative (Harvey et al., 2003). Instead, Harvey et al. (2003) divided the living Corallinales into three families, the Sporolithaceae, Corallinaceae and Hapalidiaceae, based on molecular data as well as the arrangement and morphology of the sporangia. Corallinales have the stupidly complicated life-cycles of the average floridean red alga (though not so stupidly complicated as some), but the important detail is that generations alternate between morphologically identical haploid and diploid generations (Hoek et al., 1995). Corallinales have also not indulged in parasitism to the extent of other red algal groups, though two members of Hapalidiaceae, Choreonema thuretii and Austrolithon intumescens, are endophytic parasites of the Corallinaceae species Jania tenella (Broadwater et al., 2002). Rhodolith bed off the coast of Alaska. 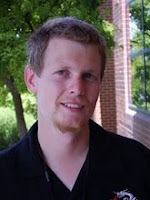 Photo by Brenda Konar. Not surprisingly, coralline algae have a pretty detailed fossil record compared to other algal groups, but, unfortunately, I suspect that a certain degree of scepticism is called for here. I've alluded before to the difficulty of interpreting fossil "algae" in relation to modern taxa - because the type of fine-scale microscopic features used in establishing the relationships of living algal taxa are usually unknown for fossil taxa, the risk that supposed overall resemblances may be the results of convergence rather than true relationship runs pretty high. Fairly unequivocal crown-group coralline algae of all three living families date back to the Cretaceous (Aguirre et al., 2000), but taxa dating right back to near the beginning of the Palaeozoic have also been identified as Corallinales or close relatives. Indeed the Silurian Gracticulaceae have been regarded as being only doubtfully distinct from the living Sporolithaceae (Harvey et al., 2003) - though accepting them as such would demand one heck of a ghost lineage between the Silurian and the Cretaceous. The Palaeozoic "Solenoporaceae" also turn up repeatedly in connection with discussions of Corallinales, but the integrity of this group has been regarded as debatable in recent years. Most significantly, the actual type species of the Solenoporaceae, the Ordovician Solenopora spongioides, was recently demonstrated by Riding (2004) to be not an alga at all, but actually a sponge! Aguirre, J., R. Riding & J. C. Braga. 2000. Diversity of coralline red algae: origination and extinction patterns from the early Cretaceous to the Pleistocene. Paleobiology 26 (4): 651-667. Broadwater, S. T., A. S. Harvey, E. A. Lapointe & W. J. Woelkerling. 2002. Conceptacle structure of the parasitic coralline red alga Choreonema thuretii (Corallinales) and its taxonomic implications. Journal of Phycology 38 (6): 1157-1168. Frantz, B. R., M. Kashgarian, K. H. Coale & M. S. Foster. 2000. Growth rate and potential climate record from a rhodolith using 14C accelerator mass spectrometry. Limnol. Oceanogr. 45 (8): 1773-1777. Harvey, A. S., S. T. Broadwater, W. J. Woelkerling & P. J. Mitrovski. 2003. Choreonema (Corallinales): 18S rDNA phylogeny and resurrection of the Hapalidiaceae for the subfamilies Choreonematoideae, Austrolithoideae, and Melobesioideae. Journal of Phycology 39 (5): 988-998. Hoek, C., D. G. Mann & H. M. Jahns. 1995. Algae: An Introduction to Phycology. Cambridge University Press. Precht, W. F. 2006. Coral Reef Restoration Handbook. CRC Press. 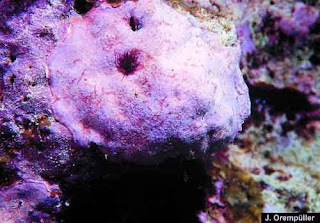 Solenopora is a chaetetid sponge, not an alga. 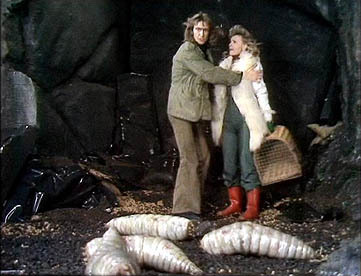 Palaeontology 47 (1): 117-122. A terminological question: a member of an animal family Xidae are known as an Xid - is there a corresponding convention for a member of a plant, algal, or bacterial family Yaceae? IIRC, I have come across "-acean", e.g. corallinacean, but it doesn't seem to be that common. What is more common is "-aceous" to be used as an adjective, e.g. corallinaceous alga.